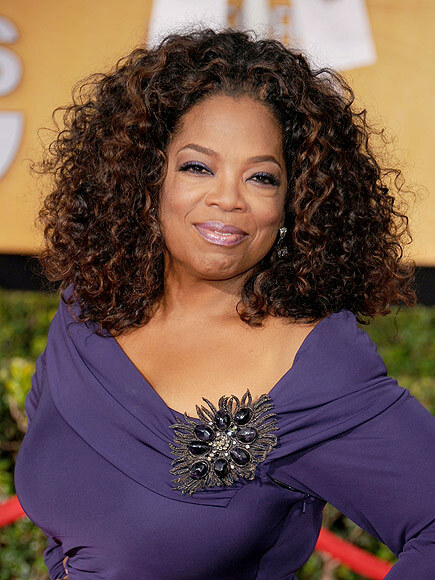 Oprah Winfrey has revealed the name she chose for the premature baby boy she lost when she was just 14 years old. She also spoke of being raped by a cousin at the age of 9. The 61 year old former talk show host opened up about her painful past when speaking at the Rod Laver Arena in Melbourne, Australia, according to news.com.au. "I did an interview with a reporter before I came to Australia and she said you should name the baby son who died," "So I have named him, I had a little boy named Canaan," I did have a son. And I named him Canaan because Canaan means new land, new life." Winfrey spoke movingly about the sexual abuse she suffered as a young girl, which resulted in the pregnancy. "I was raped at 9 years old by a cousin, then again by another family member, and another family member,"
Winfrey reportedly said, adding that she tried to hide her pregnancy at 14 because she felt so much "pain and shame." "I took to my bed and cried for three days. I felt devastated. Wounded. Betrayed. How could this person do this to me.I imagined that every person on the street was going to point their finger at me and scream, 'Pregnant at 14, you wicked girl ... expelled!' "
Winfrey gave birth as a teen to her son, who died in the hospital weeks later.